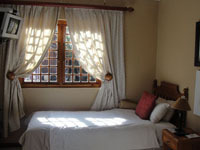 Fraaiuitsig is well know by it's guests as a friendly, homely, comfortable and conveniently situated venue to spend the night. 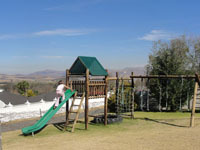 Situated in Kokstad, East Griqualand, Faaiuitsig is the ideal stop-over for the traveler en-route from Durban, the Southern Drakensberg, the South Coast, Pietermaritzburg and the Eastern Cape. 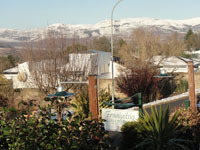 We offer the perfect resting place, whether you're passing through or exploring our scenic countryside. 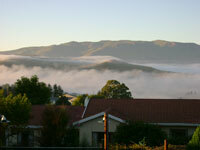 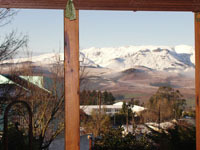 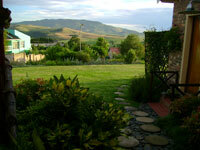 Awaken at Fraaiuitsig to the beautiful panoramic view as the sun rises over the mountains. 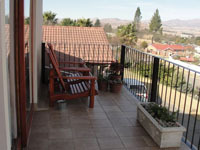 Before embarking on your daily activities, enjoy a full English or Continental breakfast either in our well appointed dining area or served to you in your room. 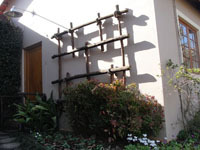 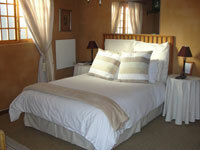 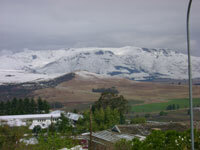 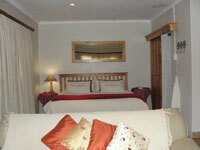 We offer Bed and Breakfast and Self Catering accommodation. 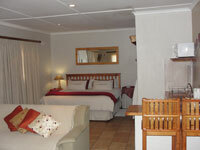 All rooms have their own entrances and privacy is assured. 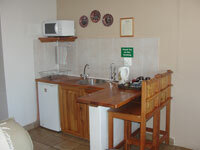 We have 4 units, "breakfast in bed" option, private entrances, Tv coffee tea ect fridge,electric blankets, fans. 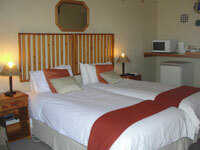 Please click here to enquire about our weekend rates.